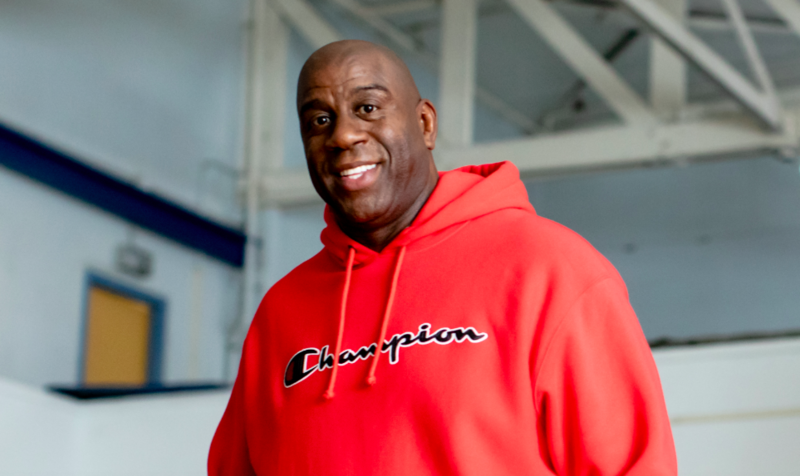 Champion is partnering with sports legend Magic Johnson to support its centennial anniversary campaign – “100 Years for the Team” – that will explore what it means to be a team. As part of the campaign, Champion will engage with teams small and large around the world to share their passion about teamwork and what it means to them to be a team. The campaign will launch with a special film featuring the iconic basketball legend Magic Johnson. Champion designed the uniforms for the famed 1992 U.S. Olympic Men’s Basketball “Dream Team” that featured Magic Johnson, Larry Bird, Michael Jordan and other NBA athletes. In the film, Johnson shares his reflections and insights into what truly makes a great team. From its inception, Champion has been a part of some of the most important moments in sports and cultural history. From designing collegiate apparel to supplying military uniforms, and dressing iconic sports teams such as the gold medal-winning 1992 U.S. Olympic Men’s Basketball “dream team,” Champion has outfitted a broad range of teams over the past 100 years. Champion has also been at the forefront of innovation since its establishment with patented creations, such as the iconic Reverse Weave sweatshirt. In 2018 the Reverse Weave hoodie was permanently installed into the Museum of Modern Art in New York City. Teams are encouraged to share their stories via social media using #Champion100 or through the Champion100.com website for the opportunity to receive limited-edition product, be featured in a centennial celebration video and spotlighted on Champion’s social media channels and website. Limited-edition product collections, events and influencer partnerships will be announced throughout 2019.